Tile and Grout Cleaning Perth- get special discounts on the specialised tile restorations services. With experience, excellence and expertise we can bring you the best services for tile cleaning at both commercial and residential spaces. You can get the best services for tile sealing, tile recolouring, tile sealing, tile stripping and related tile restoration services. 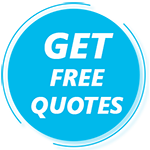 Call @0410 453 896 to get the free quotes. Sparkling Tile and Grout Cleaning Perth provides a complete range of residential and commercial tile cleaning, grout cleaning and tile sealing services in Perth. Our tile and grout cleaners are available 24 X 7 for the same day tile and grout cleaning service. Sparkling Tile and Grout Cleaning company offers professional Tile Cleaning, Shower Tile and Grout Cleaning, Bathroom Tile and Grout Cleaning Services, Tile Recoloring, Tiles Regrouting, Tile Polishing, Indoor Tile Grout Cleaning, Outdoor Tiles Pressure Cleaning, Indoor Tiles Cleaning, Tile Repairs, Tiles Restoration, Tile Stripping, Grout Cleaning services 365 days a year across Perth. Sparkling tile and grout cleaning Perth provides a complete range of residential and commercial tile and grout cleaning and sealing services in Perth. We have been providing excellent tile and grout cleaning services to residents of Perth for more than 20 years. Our team is exceptionally good in taking care of all kinds of floors including hard surfaces. So whichever area of your home you wish to restore – be it kitchen, pool deck bathrooms, walkway, or shower stalls – we have the means to do so in the finest possible way. Tile and Grout Cleaning Perth | coloring Call @ 0410 453 896 Your Local Tile & Grout Cleaner. Sparkling Cleaning Services Perth knows how to renovate your floors to give them a like new look with our advanced cleaning methods. If required, we undertake repair services of floors too. Call Sparkling Cleaning Services Perth today to give a complete makeover to your tiles and grouts without making a hole in your pocket! Why Choose Sparkling Tile and Grout Cleaning Perth? Similar to your carpet, mattress and furniture, dust builds up over time in your floors. It dulls your tiles and grouts and causes discoloration in your floors. This build up of germs and contaminants makes your floors unhygienic and unhealthy for the inhabitants. Moreover, regular usage and spills cause stains and spots on your floors that cannot be cleaned using home cleaning methods. So what is the simplest and most effective way to keep your floors – tiles and grouts absolutely clean, germ free, stain free, hygienic and healthy? Just hire the experts from Sparkling Cleaning Services Perth ad consider your task done. Professional tile and grout cleaning is the only way to keep your tiles and grouts looking as good as new. Also, professional cleaners like Sparkling Cleaning Services offer tile and grout sealing services. Sealant is a protective coating that helps prevent staining, resists soiling, and makes for easier maintenance. The loudening of dust, lubricant, and other spilled items can give the once bright and vibrant tiles a dark and dirty look. Sparkling Cleaning Services Perth provides quick, efficient, and economical solutions that work on approximately any solid surface: natural stone; travertine; brick; concrete; stucco etc. Call us right away to bring back the brightness of your tiles and grouts! First of all, our cleaners do vacuuming of the tiles in order to eliminate loose dust particles. Secondly, the stains on the floors are treated with bio-friendly cleaning solutions. Third step is hot water extraction that removes all embedded contaminants and dirt using hot pressurized water. All nook and corners are cleaned very diligently. Fifth step is to dry the floors so that you can use them again without further delay. Grout sealing is done to protect the grouts for a long time. If you need, we can change the grout sealing colour as well. Lastly our cleaners thoroughly inspect the floors again for complete satisfaction. The usual drying time is 30 minutes but if you have opted for color sealing then it may take up to 2 hours. In any case if tiles are broken we replace them properly without any damage. To replace the broken tile, we first use a carbide bit oscillating tool to cut the grout surrounding the broken floor tile. This tool is specially designed to allow us to accurately remove the broken tile, without cracking any other part of your floor. We can also repair damaged grout and replace that old and mouldy caulking around your tub or shower with high quality 100% silicone caulking. After cleaning is complete, a clear incisive sealer may be applied to keep your newly cleaned surface area beautiful. So if you are tired of those old and ugly tiles and grouts and thinking of changing them, STOP! Give us a call and we could save your money by cleaning them and giving them a new look without replacement! With Sparkling Cleaning Services Perth rest assured that your floors are in experienced and skilled hands. Our team is highly talented in taking good care of all kinds of floors. And with our guaranteed results policy your money is definitely safe hands. We promise to deliver 100% customer satisfaction with our tile and grout cleaning services. And in case we don’t meet your expectations, all you have to do is give us a call and we will re-do the cleaning at no additional cost. Sparkling Cleaning Services Perth is your true saviour when it comes to save your floors from untimely decay and discoloration. Make the most of our services and bring back life to your tiles and grouts! Why Choose Us for Tile and Grout Cleaning Perth? Sparkling Cleaning Services assures to enhance your indoor Air Quality by delivering clean floors. Sparkling Cleaning Services Perth uses a full line of the best, ‘Green Certified’ cleaning products in the world for tile and grout cleaning. From start to end we try hard to surpass your expectations with our hard work, ethics and concentration for detailing. We offer complete range of tile and grout cleaning services under one roof. Our team removes dust, viruses, germs and bacteria that are unsafe for your families’ health. Our team protects your furnishings and walls with recommended coverings. Our team will always be well groomed, in uniform and ready to work hard. We offer guaranteed results for our tile and grout cleaning services. Our cleaning services can be availed at the cheapest prices in Perth. We are experienced and hire only licensed and certified cleaners.